← RailYatri Paypal Cashback Offer : Pay Through Paypal Get 50% Cashback Upto Rs. 300. CitizenMe App Do Survey Earn Paypal Bank Transfer. 1 CitizenMe App Do Survey Earn Paypal Bank Transfer. 1.2 How To Earn Paypal Bank Transfer By Doing CitizenMe App Survey ? 1.3 How To Transfer Paypal Earnings To Bank ? 1.4 CitizenMe App Proof : Got Approx Rs.18 For Doing 1 Survey Instantly. CitizenMe App Proof : Got Approx Rs.18 For Doing 1 Survey Instantly. Read last portion of article. Already mentioned you will get amount directly in bank within 48 hours automatically. No need to withdraw. Make sure your bank is linked with PayPal. Is it necessary to have a bank account linked to PayPal account for transfer of money ? Yes, Full Verified Account Needed Along With Bank For International Payments. It’s Instant. Accept Payment From PayPal. Step Already Mentioned On Post. Accept PayPal, Step Mentioned On Article. How to accept GBP to USD ?? And how can I do that on PayPal app on phone ? Use PayPal website Desktop Mode. Follow video for more details. Join Telegram Broadcast To Get Notified About New Paid Survey Instantly. Join Telegram Broadcast For Fastest Updates, We Posted There, So, Join Telegram As You Get Notification From Us, Participate Instantly You Will Get Survey For Sure As These Are For Limited Time. Unable to create account on citizen me app…. 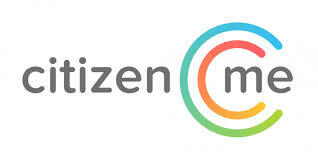 The verification mail opens the citizen me app download link on Playstore. Plz help! From Playstore Then Open Account, It’s Verified, if not Uninstall App Then Verify, Still Not Then Email them to verify Manually Mention your problem in mail. You need to accept payment Watch video given in article. Also Link card, pan and bank to PayPal. I have 0.3 GB in my account but it not credited to my PayPal account.